The Balearics are inviting you to enjoy the paradisiac feeling of a marvellous insular environment with mild climate and a variety of fantastic golf courses. 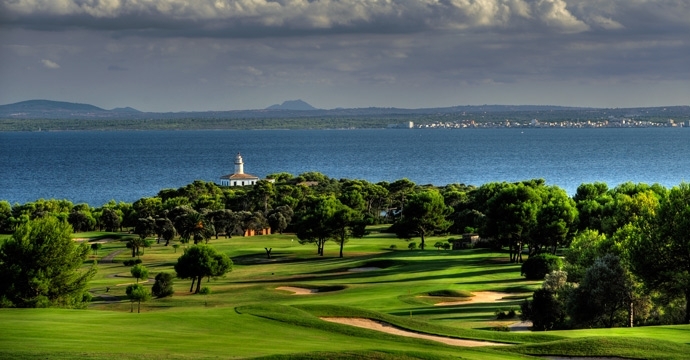 This small archipelago in the Mediterranean Sea between Spain and Sardinia with four islands, Mallorca, Minorca, Ibiza and Formentera, disposes of two dozen great golf courses that you can play all year, most of them situated on the main island of Mallorca. The international airport Son Sant Joan in Palma de Mallorca is only 2-3 flight hours away from many European destinations. Several of the most recommended golf courses, Son Vida, Son Quint and Son Muntaner are within a 20km distance from the capital Palma, and even the Alcanada and Pollensa golf courses on the north-western tip of the island are less than 1-hour drive away. There are also direct flights from several European destinations to Ibiza (with Ibiza I & II golf courses) and to Menorca with the golf course Son Parc. Ferry boats commute between several cities on the Spanish mainland and the Balearic Islands.